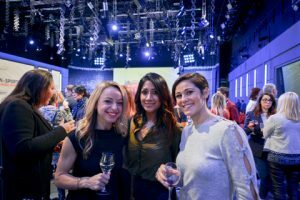 Women from across the sports media broadcast industry flocked to the latest SVG Europe Women event at BT Sport’s studios last Thursday night. With around 200 people in attendance, the evening included networking and discussion about the hottest trends and toughest challenges facing women both in front of and behind the camera today. Also during the evening, SVG Europe’s Heather McLean announced the rebranding of the women’s initiative to SVG Europe Women, or SVG Europe W for short. 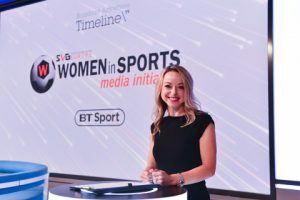 Sponsored by BT Sport and Timeline TV, the evening began with BT Sport presenter Abi Stephens kicking off the panels as the MC for the evening. 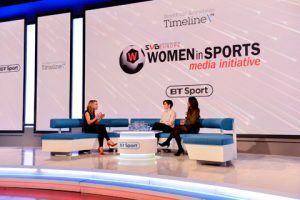 The first session titled, Take 1: Interview with BT Sport’s Reshmin Chowdhury and Eilidh Barbour, saw the BT Sport presenters speaking with Stephens about the evolution of their careers, challenges they faced in getting to where they are today, and how they see women in sports broadcast now and going forward. 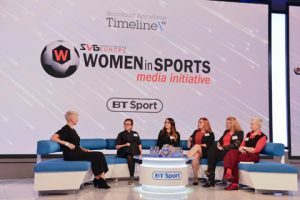 Meanwhile, the second session, called ‘Inside the Toolbox: Looking at women in technical roles in sports broadcast’, included Timeline TV’s Roisin McKeniry, media systems manager and Nikki Lushington, lead MCR engineer, BT Sport’s Gemma Knight, director for BT Sport football, and Kylie Jenner, director, BT Sport Score, and Sunset+Vine’s Adeline Lee, head of broadcast services, who spoke with SVG Europe’s McLean about why there are fewer women in technical roles within sports broadcast and what can be done about it. Next year SVG Europe W is planning to host four main events, starting with one at SVG Europe’s SportTech event at Lords in May, followed by a summer networking event, then one at IBC in September, and finally another winter networking event. 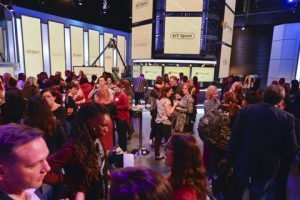 Also starting in 2019, McLean will be publishing a bi-monthly newsletter for those signed up to the SVG Europe W list, which will cover news and interviews with and related to women in the industry, as well as SVG Europe W.
To make sure you stay in the loop for SVG Europe W events and the newsletter, add your name to the database here to stay informed of all updates for this event, and all future events. The SVG W rebrand was announced at the BT Sport and Timeline TV event, with a slick new logo designed to take the organisation forward. The name change has come about in response to the rapid growth of the initiative, which held its first event in December last year with 20 attendees. Attendees at the winter networking event included people from the International Cricket Council, IMG, Premier League Productions, the BBC, Sky Sports, Formula 1, ITV Sport, Discovery, and Racing UK. As well as freelancers from the sports broadcast industry, attendees included media rights managers, directors and heads of production, executive directors, vision mixers, camera operators, archive managers, post production engineers, directors of business development, managing directors, CEOs, commercial directors, graphics and data support managers, line producers, network designers, chief media managers, lead MCR engineers, media operations managers, technical delivery managers and design engineers.